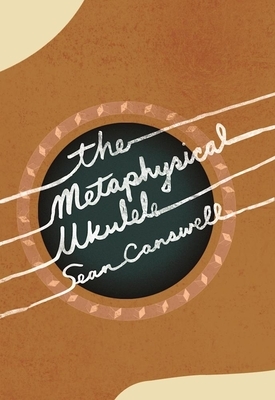 Mixing the flair of literary invention with real events in each writer's life--Herman Melville living with a tribe of cannibals; Raymond Chandler holding The Blue Dahlia hostage from Paramount Studios; Flannery O'Connor falling in love; Chester Himes threatening to decapitate his landlord, and many more--Sean Carswell takes the nonfiction of some our most famous writer's lives and turns it into exquisite fiction, with a ukulele thrown in for good measure. At times heartbreaking, at times absurd, the stories in this truly one-of-a-kind collection delightfully blur the line between what is life, and what is literature. Sean Carswell is the author of the novels Drinks for the Little Guy, Train Wreck Girl, and Madhouse Fog. He wrote the short story collections Barney's Crew and Glue and Ink Rebellion. He co-founded the independent book publisher Gorsky Press and the music magazine Razorcake. He has been a regular contributor to Flipside, Ink 19, and Clamor. His writing has also appeared in such diverse places as the skateboarding magazine Thrasher, tiny 'zines like Zisk, and prestigious literary journals like The Southeastern Review and The Rattling Wall. He currently teaches writing and literature at California State University Channel Islands.